Mrs. Thelma Ruth Mabry Lane, 94, of the Burning Bush Community went home to be with the Lord on Wednesday, March 07, 2018. Mrs. Lane was a native of Red Bank where she graduated from Central High School in 1941 having played on the first Girls’ Basketball team. She had lived most of her life in Burning Bush and was an active member of the Burning Bush Baptist Church and the Early Bird’s Sunday School Class. Mrs. Lane was a licensed Funeral Director in Georgia for over 50 years, recently receiving her 50 year pin from the Georgia Funeral Directors Association. She and her late husband, Ross C. Lane, founded Lane Funeral Home South Crest Chapel in 1957. Together, they owned and operated Lane Funeral Homes in Rossville, Red Bank, LaFayette, Summerville, and Ooltewah, as well as Heritage Funeral Homes in East Brainerd and Battlefield Parkway. 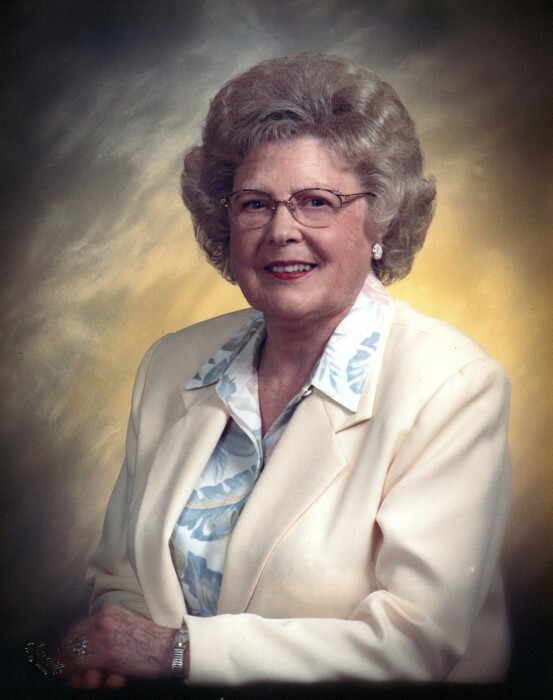 Mrs. Lane loved her community and enjoyed hosting cook outs and gatherings on her farm for her church, neighbors, and the many employees over the years. She enjoyed volunteering her time in many civic organizations that she was a member of such as, Rossville BPW, the Rossville Garden Club, and the Order of the Eastern Star Pocahontas Chapter #165. Mrs. Lane had a servant’s heart. She loved being a Funeral Director and taking care of so many families over the years, helping make a difficult time a little easier. She loved God, her family, her church family, her community, working in her flower gardens, traveling with her husband, and she was an avid TN Vol fan. She will be dearly missed. She was preceded in death by her husband, Ross C. Lane; step-son, Butch Lane; Parents, Lawrence and Blanche Mabry; and brother, Max Mabry. Survivors include her daughter, Dianne (Darrell) Brumley of Ft. Oglethorpe; grandchildren, Holly (Charley) Torbett and Bill (Andrea) Sims, both of Burning Bush; great grandchildren, Mikey Torbett, Maddox Torbett, Mason Torbett, Canner Ross Sims, and Riley Sims; and several nieces and nephews. In lieu of flowers donations may be made to Burning Bush Baptist Church’s Building Fund, 2195 Burning Bush Rd, Ringgold, GA 30736. Funeral services will be held Friday, March 9, 2018 at 1:00p.m. at Burning Bush Baptist Church with Reverend Dennis McNulty officiating. Mrs. Lane will lie in state at the church two hours prior to the service. Entombment will follow in the Chattanooga Memorial Park with Bill Sims, Charley Torbett, Michael Lowder, Randy Mabry, Jack Cooper, and Randy Callahan serving as pallbearers. The family will receive friends Thursday from 3-8p.m. at the South Crest Chapel of Lane Funeral Home and Crematory, located at the end of historic Missionary Ridge, Rossville.